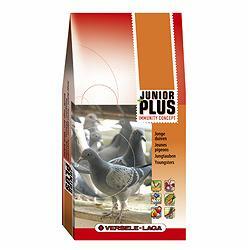 Complete food for pigeons enriched with the special Immunity Concept junior pellet. Allowing young pigeons to develop and perform is only possible with a complete feed. Junior Plus I.C. provides the perfect protein/energy balance.